What strategies and implementations need to take place when creating an effective channel sales forecasting process? The importance of demand channel sales forecasting has been a hot topic of discussion in economics and supply chain management. Whether it is long-term, midrange or short-term, vendors rely on accurate channel sales-forecasting for reducing inventory stock outs, scheduling production, keeping partners satisfied and so much more. However, channel sales-forecasting is also extremely time-consuming. Without a robust channel management strategy in place, vendors are left spiraling aimlessly through the indirect sales funnel, relying on luck and instinct for accurate forecasting. 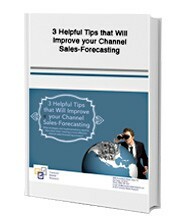 Receive a Free whitepaper on “3 Helpful Tips that Will Improve your Channel Sales Forecasting“ by filling out the form on the right. “PartnerPortal has vastly improved our channel visibility, allowing us to continuously monitor and proactively address any immediate needs that arise among our partners.